To be a classic and to be reader who avoided almost all the classic books so far. hmm like all things come to pass slowly but surely I am also catching up on my classic books and oh look at me, two 19th century books completed in a row :) . Coming to the actual reason I am writing this, well everybody and their grandkids know the story of March sisters and March family and it was a revelation for me. Well the reason I avoided the classics was because I thought that since the books are old their english would be old english and difficult to read but what do you know or what did I know? The language even though the book is almost 150 years old the language is very easy and book was wonderful to read and listen to. Thanks for (Time for another shout out) TTS on my Moon+ eBook reader I was able to finish the book in two days and it was surely fun to read the book in a go and to go on the journey of life with March sisters. I liked the book very much and understand now why this book is so revered and is considered a classic and thankfully this one was fun and I would ask you if you like me have avoided this classic for so long then avoid no more and read it and more classics and then Keep on Reading. I am currently reading this book on my mobile phone's e-Book reader as a project Gutenburg e-Book, so what better time than to introduce these awesome rubber covers. Like they say Old Wine in New Bottle and what a wine these classics are, If Reading be wine for mind then drink away, Keep on Reading. The book showcased is a special new version of the old classic - "Little Women" by "Louisa May Alcott"
There are other gorgeous classics in the new rubber covers and I would try to share all of them. Let's see how quickly I can achieve that. In this new series while reviews may be in short supplies for now I would also like to bring different books to people's notice so these posts for Book Showcase. 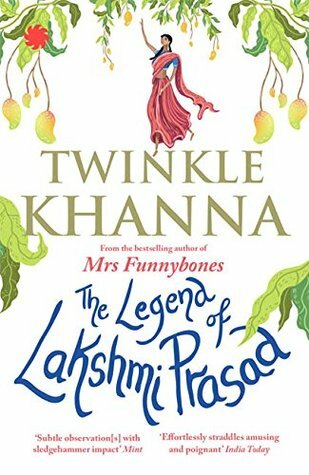 This is the second book by Twinkle Khanna also known as Mrs. Funnybones in her weekly article in TOI and that was also the name of her first book which I have yet to read. Now coming onto this book, it's a short stories collection consisting just 4 short stories. 3 of the short stories are fairly smaller if compared with the 4th one which is easily the size of a novella. Second Story tells the story of two old widowed sister out of whom the elder one embarks on a love affair with a fellow senior citizen. Third story tells the story of Elena a free spirit who is unluckly is love and despite being married five times she is alone. Forth and the final story is the biggest of all and like I said easily the size of a novella. This tells us story of Bablu who works to develop a cheaper alternative to the senatory napkins. All the stories are simple and focusing on the human emotions also the movie Padman starring Akshay Kumar was based on the 4th story which itself is a fiction account of real person Arunachalam Muruganantham from Tamilnadu. I finished the book in a single sitting and it was thoroughly enjoyble. Give it a chance as it's a easy read so enjoy the time and Keep on Reading.